I’ve talked about my love for Downton Abbey before, but not so much my love for Downton fashion. In addition to the addicting binge worthy drama of the show, the complicated relationships, and the interest in an older era- the fashion of the show is extremely well done, too. I have reached the final season of the show [cries], I am not going to know what to do with myself when it’s over….however, I have been neglecting Shameless, so I am excited to get back to that once I have finished Downton. I have enjoyed waiting to see what the cast will wear next. It is also fun to see the change in their styles over the seasons- going from much more traditional to the flapper style in the 20’s. 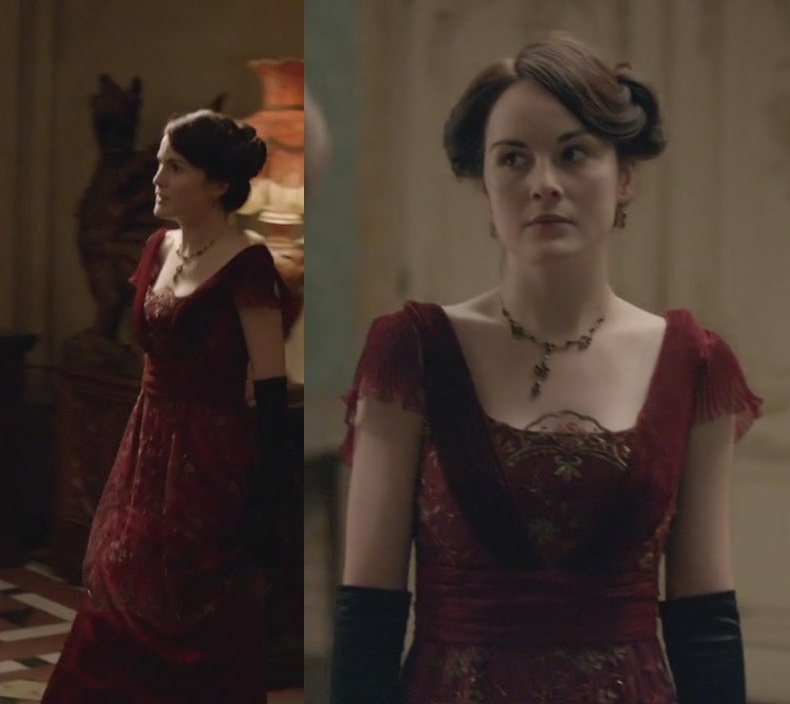 My favorite has to be Lady Mary Crawley’s wardrobe. She wears a lot of beads, lace, hats, hair brooches, and long gloves. 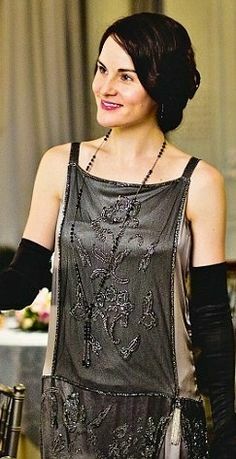 I especially loved Lady Mary’s choker here along with her black embroidered lace dress…..
She wears the flapper-esque style later on in the seasons stunningly, too. The bottom one here is one of my favorite’s from the 20’s era of the show on her- look at all of that gold! 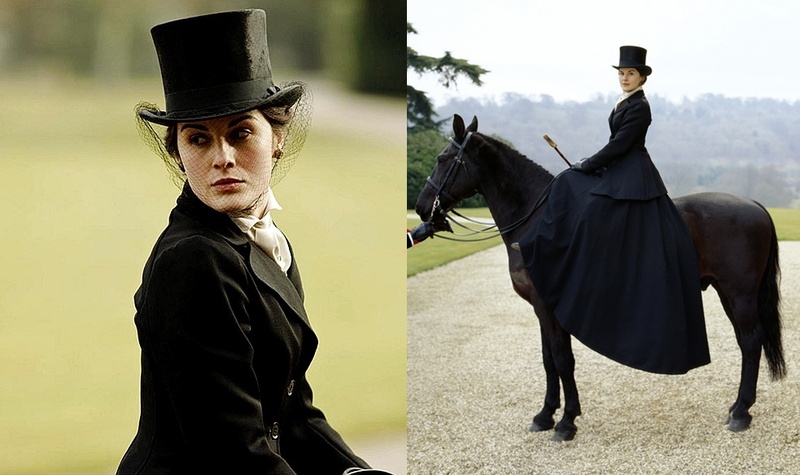 But don’t be fooled, Lady Mary does not only sit down for lovely fancy dinners and sit drinks- she is a rider, too. And her riding outfits are equally as charming and unique. 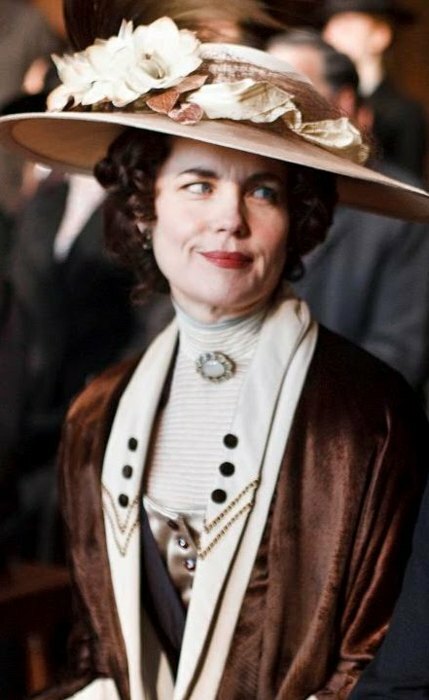 Lady Mary definitely takes the prize for best dressed Crawley. If you watch the show [which I highly recommend you do and after this post you might really want to] then you know that Lady Mary and Lady Edith don’t exactly get along, even though they are sisters. They are very different- and you can see that in their fashion as well. 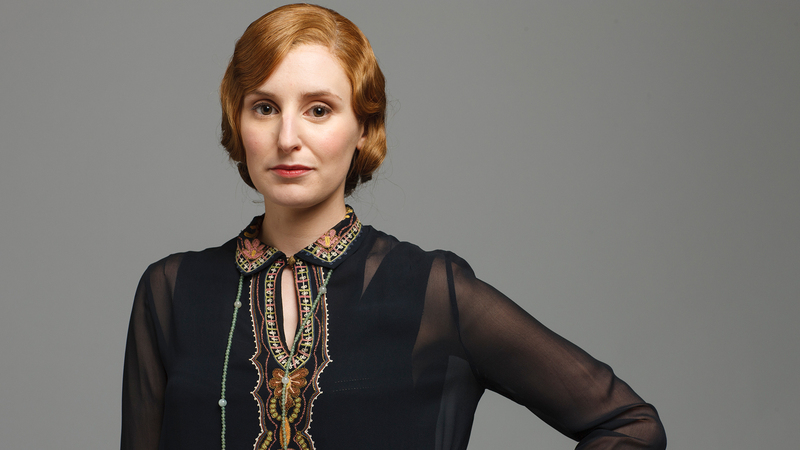 Lady Edith is much more liberal and less traditional than Mary and seemed to fall into the flapper-esque style quicker than she did. However, she is my second favorite fashionista. And I embrace their differences. This may have been an Edith favorite of mine. 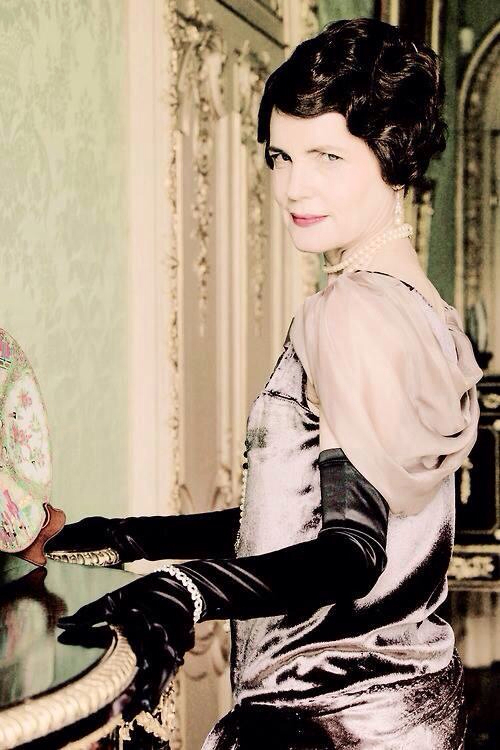 As mother of Edith and Mary and countess of Downton Abbey, Cora’s style is a bit older and more sophisticated. All the less, I still adore it. These last two are Cora favorites of mine. That medieval styled dress and this jacket are just beautiful. I suppose if we all had our own lady’s maids to dress us each morning and night, we would look this stunning all day too! And if you have not yet watched, get going, so we can chat about it! ← March 23, 2016: National Puppy Day! 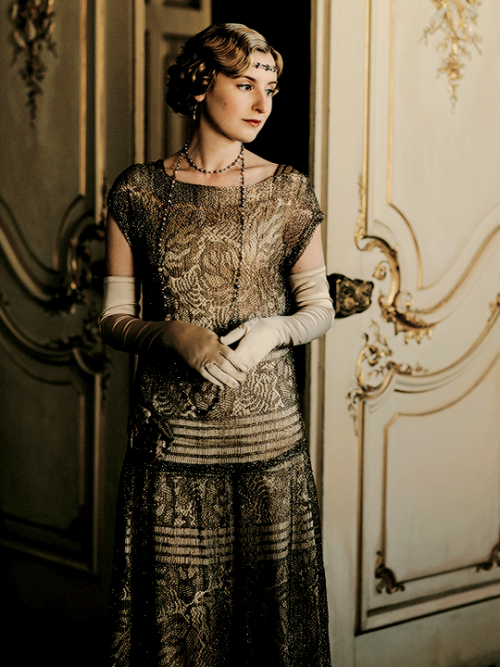 I absolutely agree that the costumes in Downton Abbey are gorgeous! My personal favorite would have to be Mary’s looks. Me too!! Do you watch downton ? I’m currently on season 2! Trying to get in as much as I can! Thanks melody- yes they are all very royalty chic 🙂 glad you liked it!! Oh no! I still haven’t seen the last season, but am looking forward to everything finally getting resolved! Haha me too!!! Im so glad youre watching!! !